Nex Machina Coming To PC From Resogun Developers | Nerd Much? 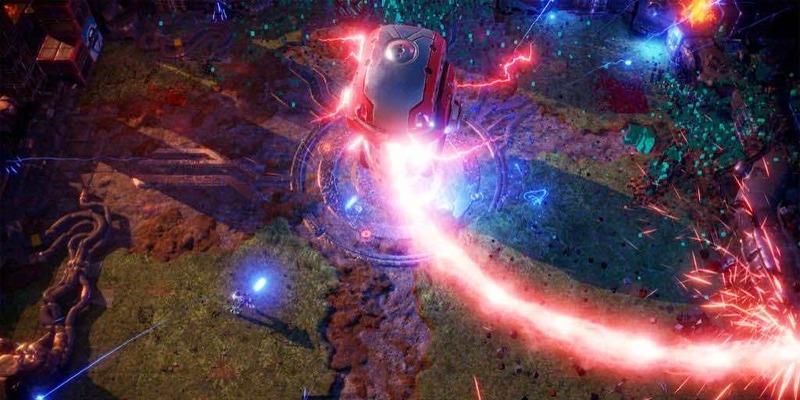 Housemarque, the studio behind Resogun, has announced their brand new game Nex Machina will be coming out on PC and the PS4, instead of a PS4 exclusive like Resogun. According to the studio, this is their first PC release since a game called Supreme Snowboarding (1999), so we’ll be looking forward to see how this stacks up against other games of the same genre. Since the game is based on the twin-sticks game mechanic, it will unfortunately be controller based and you will have a have rougher time with mouse and keyboard. Nonetheless, Housemarque is working on the solution and will have a great keyboard scheme ready by the time the game launches. Head of publishing Mikael Haveri states that despite the new challenges of a PC build, Nvidia has been more than happy to help smooth the transition over. Keen on praising the new game, CEO of Housemarque has stated how both exciting and humbling the experience is to get back to developing games for the PC after almost 22 years. It’s been long enough and it’s clear the studio missed it. Housemarque is yet unable to give an exact release date for Nex Machina, though they hope to have it out sometime in the summer of this year. What do you think of Nex Machina? Does it look worth buying? Let us know in the comments below!